This is an aromatic beverage flavor derived from brewing Chai tea and spice flavorings. Chai Tea flavor delivers a unique aroma with dominant and powerful taste. 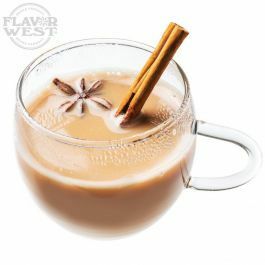 Type: Chai Tea Water Soluble Flavoring. Ingredients: Natural and Artificial Flavoring, Propylene Glycol, Critic Acid, Sodium Benzoate and Water. USP Kosher Grade Flavoring. Usage Rate: 15-20% for E-use. Flavor suitability: Drink, beverages and more. Specific Gravity: 1.20 No Returns on Flavoring.